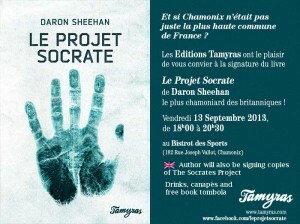 Meet Daron Sheehan, the author of this environmental adventure thriller and find out more about the Socrates Project. 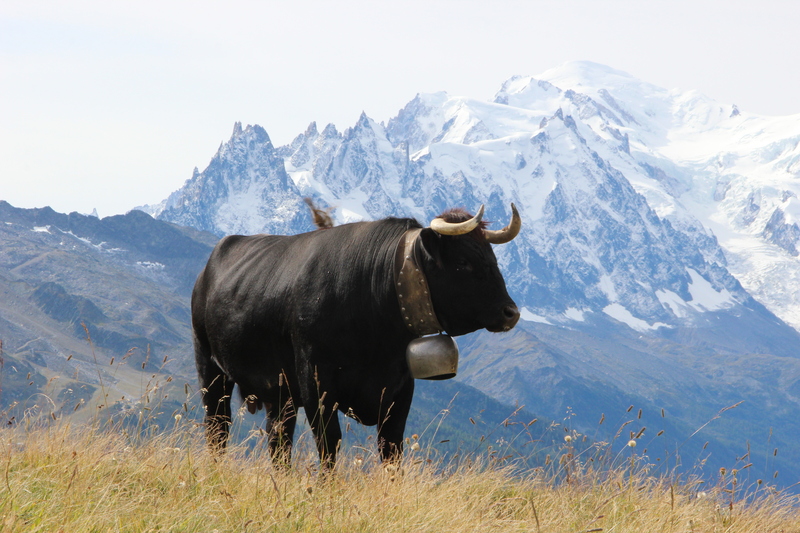 Daron Sheehan has a particular affection for the Chamonix Valley and spends a lot of time here enjoying the mountains with friends and locals guides! Just as, in 1816, Mary Shelley was inspired by the Mer de Glace and subsequently began writing her novel Frankenstein, Daron Sheehan has chosen the beauty of the same glacier to stimulate Sicad conciousness of nature!! Hence, enlightenment comes to the hero of his novel during a perilous journey down the Mer de Glace. The Socrates Project opens the idea of sustainability & environmentalism to a wider audience through a fictional adventure narrative – and is praised by environmentalists including Jonathan Porritt and Mark Shand! 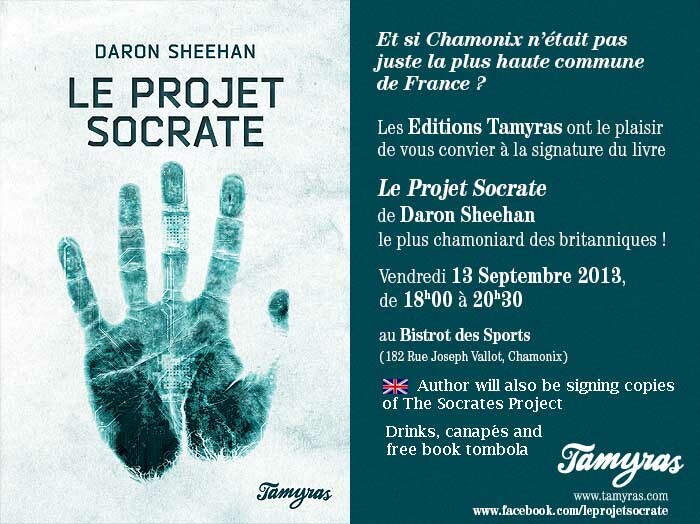 The Socrates Project was officially launched in June at Artemis in London and on MTV in Lebanon, so it is only natural that the next launch event should take place in Chamonix Mont-Blanc! The book has the unusual merit of being published simultaneously in both English, by Nautilus Media, and in French by Tamyras. Join Daron Sheehan for light refreshments and a chat about the book. He will be giving away a few signed copies on the night. 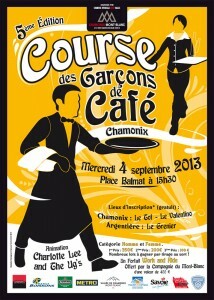 Tomorrow, 4th September, the 5th edition of the Waiters Derby will take place in the streets of Chamonix. Not as high profile, nor as hi-tech as the UTMB… aprons and white jackets are de rigueur instead of lycra, the distance does not exceed 2.2km… but my goodness there will be no sleeping nor dropping bottles on the way! 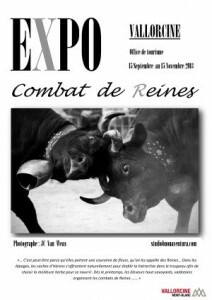 This traditional race was revived in 2008 after a timelapse of around 70 years, thanks to the initiative on the Chamonix Hotels Syndicate. Take a look at the video link below which dates back to 1930 and see how much of Chamonix you recognise! In the 1920′s and 30′s the race took place on cross country skis! 1 bottle, 1 glass and a ski pole for propulsion. One can but wonder about the state of the skis, but they’re certainly having fun! Today’s waiters take on 2 glasses, 1 bottle with an extra bottle added en route. The race begins Place Balmat in front of the post office and takes in the rue Paccard, ave Aiguille du Midi, rue du Lyret, Chamonix station, quai des Moulins, rue Vallot and finish at Place Balmat. 70 + participants are expected on 4th September and they will be representing many of Chamonix’s establishments. The winning waiter and waitress both receive a prize of 350 euros for their skills. A hand carved wooden trophy goes to the winning establishment. The race is followed by a convivial buffet and tombola for all participants. Prizes include a seasonal winter lift pass, a helicopter flight over the Mont-Blanc Massif for 6 persons and many other generous donations from Chamonix businesses.